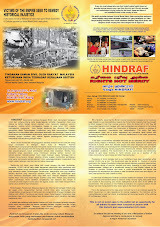 HINDRAF, HRP & P.Uthayakumar will be present to witness this event. Venue: PPR Kg.Baru Air Panas, Setapak, Kuala Lumpur. Warning against Polis Raja Di Malay-sia brutality against Indian youths: Simpang Ampat police beat base burnt down. The racist UMNO denies these Indian youth business opportunities, licences, permits, contracts, projects proper job opportunities equal rights and equal upward mobility opportunities in both the government sector, and the private sector which is jointly controlled by the Chinese capitalists. This denial is the main cause of Indian youths being pushed into crime. And when brutalized in police lock ups they retaliate seriously by burning down a police beat base which we had thought could be a possibility but has today opened the floodgates. We do not condone crime of any kind especially by the almost absolute power abusing police force and ably aided and abetted by the racist UMNO Attorney General Tan Sri Gani Patail who has refused to prosecute the tens of thousands of policemen.